With so many programs already dedicated to teaching students about fish biology and lifecycle, The Sitka Conservation Society chose to take a different angle. We wanted to answer the question, “How did fish end up on our dinner plate?” Modeled after the Farm to School program, we developed a series of interactive lessons to illuminate the steps fish take from stream to plate. 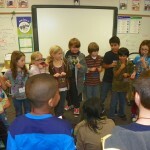 We invited a number community members and organizational partners into the classroom to share their part of the story. 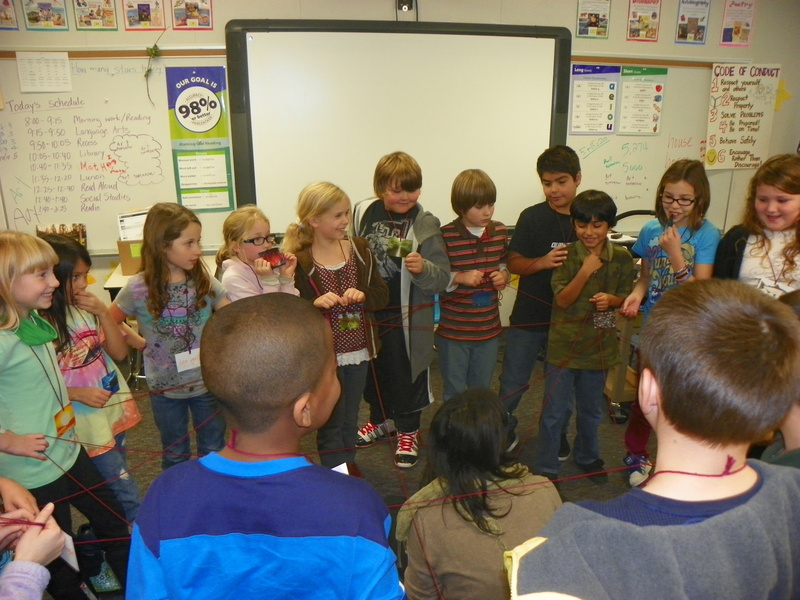 We began with third graders in early October by teaching students about fishing methods. 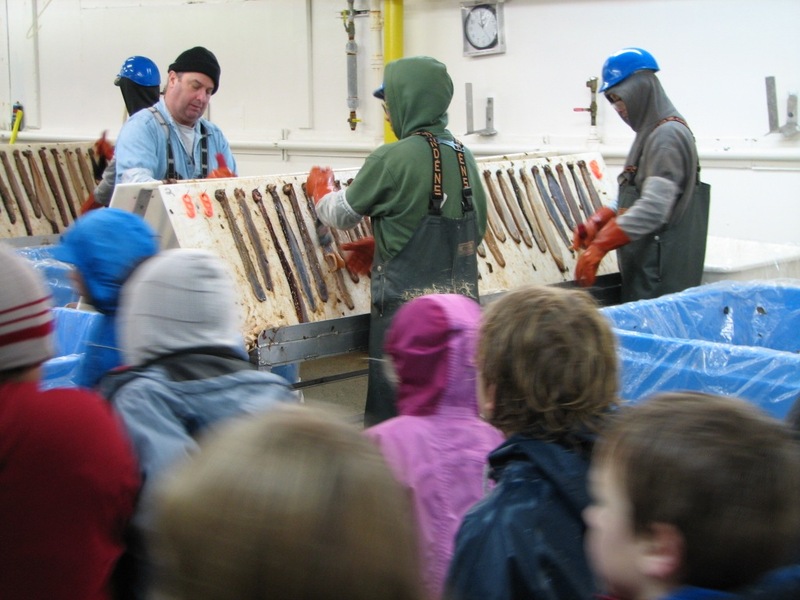 We answered the question, “How are fish caught?” Through a number of silly, hands-on activities, students learned the differences between commercial, sport, and traditional harvesting methods. To reinforce commercial methods, local fishermen were invited to give presentations on their chosen method(s). One fisherman father, Dan Falvey, went so far as to have students set a longline with baited hooks (magnets). 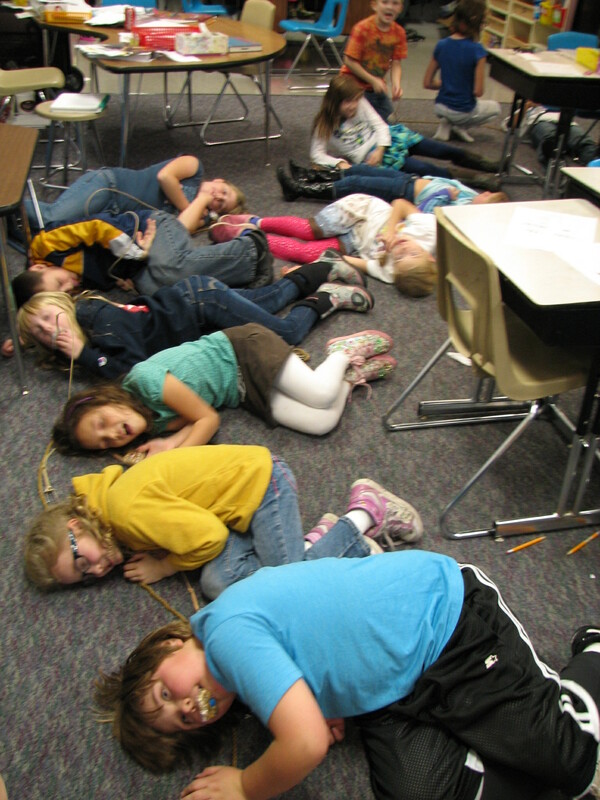 After a good soak, students landed their catch… of paperclips! Fishing, a familiar pastime for many of the students, was well understood. But less known was what to do with them next. 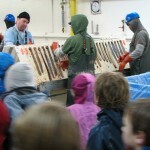 Students were invited on a tour of Sitka Sound Seafoods, a local seafood processor, where they saw a boat unload fish, a halibut fillet demonstration, shrimp, crab, and sea cucumbers processed and packaged. 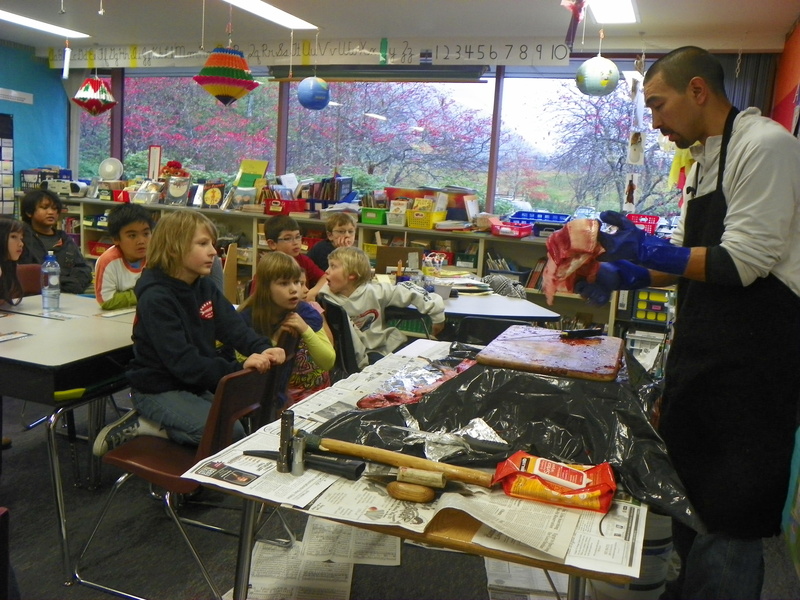 Back in the classroom, Alaska Native Tom Gamble, took students through the process of gutting, filleting, and preserving the catch. He shared native traditions and emphasized respect for the salmon throughout the entire process for feeding him and his family. Next in line was cooking, a final and very important step in the journey from stream to plate. 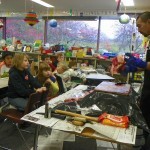 Students gathered around wisps of steam as they watched Alaska Native, Charlie Skukla Jr., place fire-hot rocks into a traditional bentwood box. In less than minute the water began to boil chunks of local fish. Boiled fish couldn’t be simpler and the students loved it. 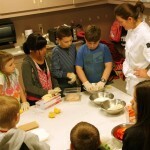 One class got to work with Chef Colette Nelson of Ludvigs Bistro. 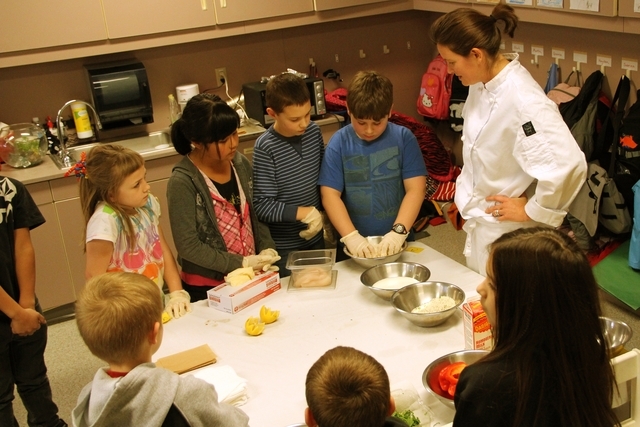 Together students created delectable tastes of sesame salmon and toasted rockfish. 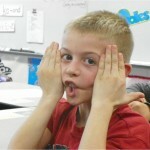 Paired with cooking, we taught students why fish is good for their bodies. They all seemed to know that seafood was good for them but few could articulate why. 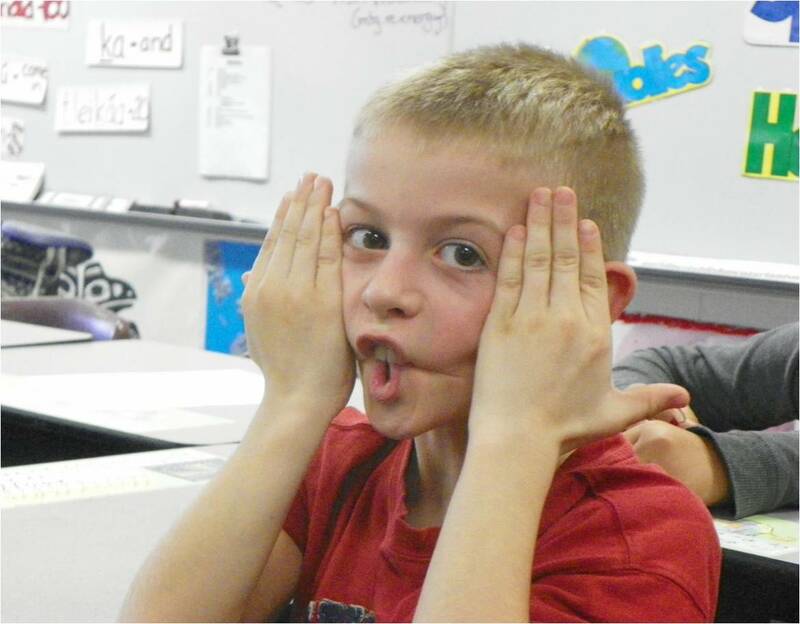 Students learned a simple mantra–that “fish are healthy for our head, heart, and make us happy.” This really stuck; over 70% of participating students increased their health knowledge after the program. 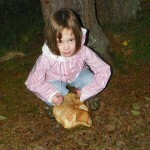 Earlier this fall we set out on a hunt, a mushroom hunt. 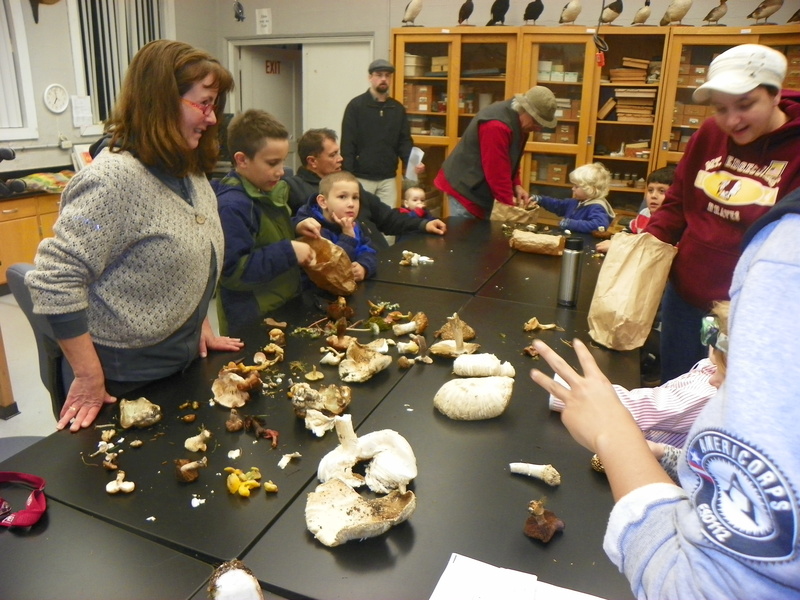 With our paper bags in hand we searched for different mushrooms with Sitka Conservation Society Board Treasurer, UAS Professor, and mycologist Kitty LaBounty. Families worked together looking for different fungus: some large, some small, some edible, some gilled and others with spongy pores. 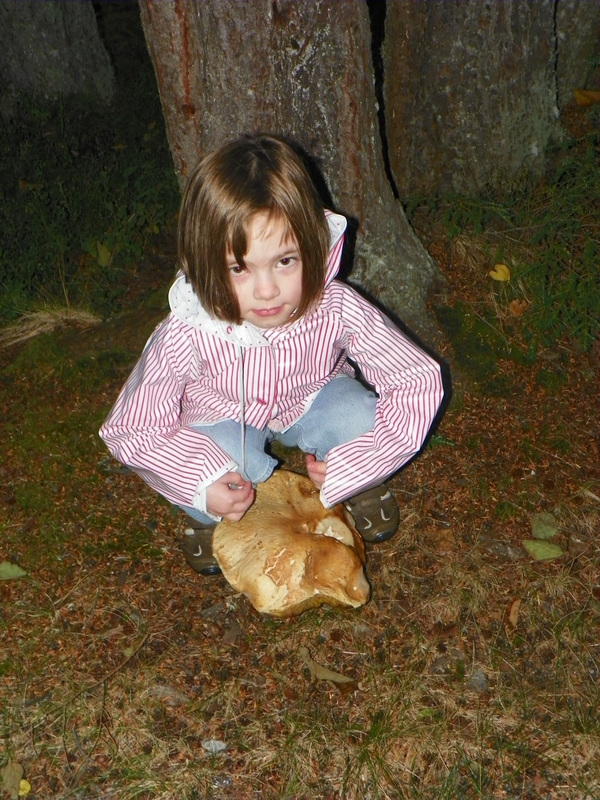 This was the first time many of the members of the Alaska Way-of-Life 4H Club have ever looked for mushrooms. This outing helped them to experience their natural environment in a new way, with different eyes. Their vision became focused and directed at finding these special fungi that are intimately connected to the forest through their extensive mycelium network. After collecting mushrooms we gathered together to group the mushrooms in to different categories: edible and non-edible, size, color, and cap structure. 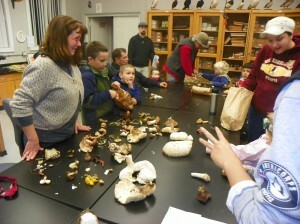 On this evening parents and children alike learned safe harvesting practices, edible mushroom types, and mushroom identification. It was a wonderful opportunity to tap into the underground mysteries of the forest with fresh, young eyes. And—what a fun way to forage for food! 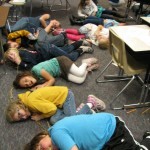 **Knowing how the different forms of life in an ecosystem interact helps us all to better understand the natural world. And the more we understand the natural world, the better stewards we can be to ensure that future generations can experience the magnificence of the local environment. The Alaska Way-of-Life 4H Club teaches students about the natural world through hands-on activities so they too can be a part of their natural environment of the Tongass. In the summer of 2010, the SCS Wilderness crew packed up and headed north for an attempt at circumnavigating Yakobi Island by kayak. The weather and health of the crew were not cooperating, so paddling around Yakobi was not an option. Instead, the crew traveled to Stag Bay across Lisianski Strait, which turned out to be a fantastic destination. Sealaska is moving forward with plans to take ownership of Redoubt Falls. Stakes have been placed, and opportunities for public comment on this divisive plan are limited. 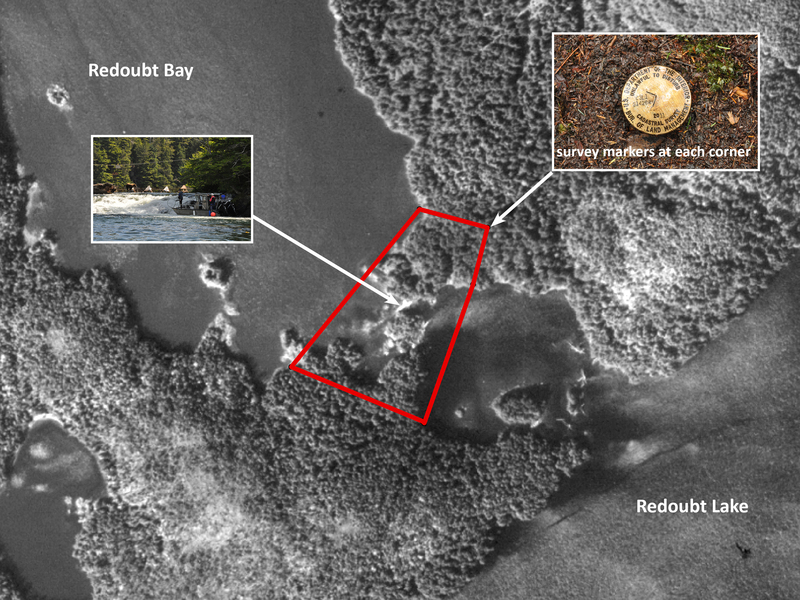 Although Sealaska has claimed in the past that the public will continue to have access to the most important subsistence sockeye stream close to Sitka, there doesn’t seem to be a legal mechanism to guarantee public access once the land is transferred. The Sitka Tribes have submitted a letter of support for the transfer which doesn’t mention continued public access. A Bureau of Land management publication states, ”Do not hunt, fish, or trap on or from a 17(b)easement unless you first get a permit and permission from the Alaska Native corporation who owns the private land.” The regulations in the Bureau of Land Management publication will apply to Redoubt Falls, if transferred to Sealaska. 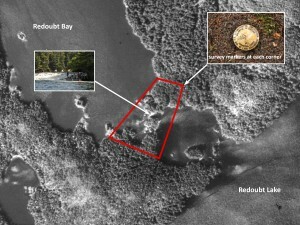 Sealaska attorney Araugo has stated in the past that access to Sealaska land would be granted on a “case by case” basis. For more information call SCS at 747-7509. If you would like to take action, please urge the City Assembly to pass a resolution to keep Redoubt Falls public land. West Chichagof Wilderness has always been near and dear to our hearts here at SCS, in fact we probably wouldn’t be here today if our founders hadn’t fought for its protection (check out the whole history here). And we still protect it today, by monitoring on the ground conditions that lead to effective management decisions and give us a baseline to chart the health of the ecosystem. Be sure to check out the cave report and map of “Calvin Cave” here. This is a test post about the Starrigavan Restoration Project.